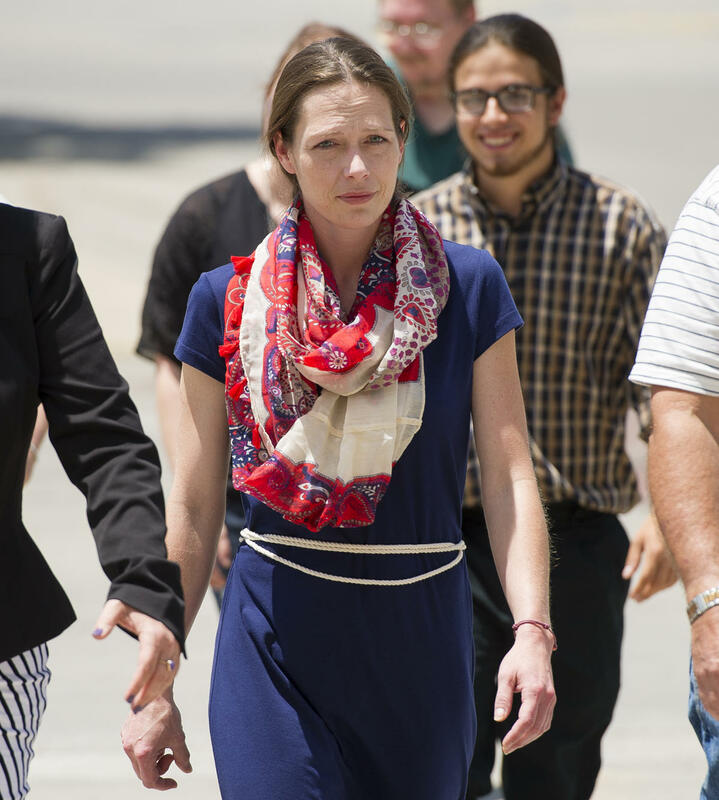 Shona Banda, who sued state agencies and officials late last week, is representing herself in the action, which asks the court to restore custody of her son, declare that she has a “fundamental right” to use cannabis oil to treat her Crohn’s disease and award unspecified damages. Banda posted a draft of her lawsuit online as long ago as September but later said its filing had been delayed by the inability of her attorneys, one in Lawrence, Kansas, and the other in California, to agree on a mutual schedule. The suit was filed a year to the day after Garden City police raided her home and seized marijuana, cannabis oil and drug-related equipment after her 11-year-old son spoke up about her use of cannabis at a school anti-drug presentation. The Kansas Department for Children and Families subsequently took custody of her son, saying the home environment was not safe for him, and the Finney County district attorney filed drug-related criminal charges against her. The charges carry a maximum punishment of 30 years in prison. Her 20-page lawsuit, filed in federal court, names as defendants the state of Kansas; the Kansas Department for Children and Families; DCF Secretary Phyllis Gilmore; Gov. Sam Brownback; the Garden City Police Department and its police chief, James R. Hawkins; the Garden City School District; and Tyler Stubenhoffer, an employee of the school district. The suit alleges that the defendants violated Banda’s constitutional rights under the 9th and 14th amendments and cites an “emerging awareness” of the medical benefits of marijuana and its increasing societal acceptance. However, legal experts say there’s little case law supporting a constitutional right to medical marijuana. Under Kansas law, possession of any amount of marijuana is punishable by up to a year in jail and a $1,000 fine. A second conviction is punishable by up to 3 ½ years in prison and a $100,000 fine. “But it’s been very difficult on our family as a whole, I will say that,” she said. Banda has been a highly visible advocate of medical marijuana and self-published a book about her use of cannabis oil to treat her Crohn’s, an inflammatory bowel disease that can cause severe abdominal pain and other symptoms. Her lawsuit says she has undergone 17 surgeries over eight years. It says that the cannabis oil she uses to treat her condition had “significantly relieved” debilitating symptoms that had prevented her from working and confined her to her home. Dan Margolies, editor of the Heartland Health Monitor team, is based at KCUR. You can reach him on Twitter @DanMargolies. Among Bevin’s campaign pledges was that he would reform the cabinet’s social services agency. KENTUCKY REPRESENTATIVE EMAIL ADDRESSES AND ANNOUNCEMENT LETTER / ALL STATE PARTICIPATION. Copy and paste letter to email addresses listed below; Bulk email dump at bottom of page for one letter bulk sending. 1. Implement removal of Abusers, not children from Family units. 2. Remove Immunity for Kentucky Cabinet for Families and Children workers. 3. Restructure Family Law court into budget cutting mediation forums of two party negotiations. 4. Redirect Family Law Criminal allegations into Criminal court. 5. Restrict Judges and various interpretations of Family Law codes to abuse either party. 6. End Kentucky Cabinet for Families and Children abuse and Family Law abuse against the people of Kentucky. We demand an end to wasteful spending on agencies devastating families financially. 8. Amend or repeal that law that allows for children being removed due to disability and termination of rights without working towards reunification. 9. Release records upon request without redaction and revamp the Ombudsman to process the complaints in a timely and proper manner. 10. Revamp Foster Care Review boards as originally spelled out in CAPTA. Marshall Co. Judge Executive Mike Miller, False entry/unauthorized act, . This partial list of neglect of office, unethical professional conduct and evidence of failure within the Judicial branch of Kentucky. We strongly oppose Judges overseeing Families in crisis in the Family law division. I cite the case of the failure of Kentucky Cabinet of Families and Children in protecting a nine year old, Amy from her adoptive siblings, known to have history in sexual abuse and undisclosed by the KCFC prior to the adoption. Problems were reported to indicate the adoptive parent, Kimberly Dye desire to ‘return’ the adopted girl shortly before her death This was an enormous failure of several to ignore all the warning signs of this broken adoptive home. While we acknowledge review and actions were taken as the result of the death of this girl, we feel more can be done to insure the safety of children seized and accountability by this agency. We know there is rampant corruption in the government offices of Child services and Family law. This is a national epidemic of criminal activity within the programs, courtrooms and agencies that are bankrupting the American Families. We demand reform and strict laws on government seats of power placed with the power of office to seize children, financially destroy individuals, and racketeering to conceal internal corruption within our state and federal offices. End legal abuse by Judges and Lawyers by instituting forums for successful dissolution/custody between spouses with guidelines without ruling Judges or lawyers. Enforce penalty of perjury, redirect criminal actions in Family Law to the Criminal courts. Remove immunity for Judges operating outside the rule of law. Reform Child services to an efficient team of child crime investigators and not our out dated model of Child protective services. We, the people, unite and demand reform of CPS agencies and Family Law practices. We, the people, take back our rights to protect our children and families. Thank You for your attention in this matter! EMAIL LINKS (EMAIL BULK DUMP AT BOTTOM OF PAGE / WINDOWS LINK EMAILS BELOW SITE LINKS. COPY /CUT PASTE LETTER BODY INTO EACH EMAIL LINK. NOT ALL REPRESENTATIVES PROVIDE EMAIL ADDRESSES. This issue was submitted by Robin Rider-Osborne, Lexington, KY. The proposed warning represents a concession to political reality by the AMA, which opposes marijuana legalization but seems to recognize that pot prohibition is inexorably crumbling. The AMA’s wording is notably milder than the warnings for tobacco and alcohol—appropriately so, since the evidence that cannabis consumption during pregnancy can harm the fetus is less clear than the evidence that smoking and heavy drinking can. In any case, providing information about marijuana’s hazards is surely preferable to the punitive moralism of the war on drugs. The latter approach still prevails in most of the country, as illustrated by what happened to Hollie Sanford and her baby girl, Nova. 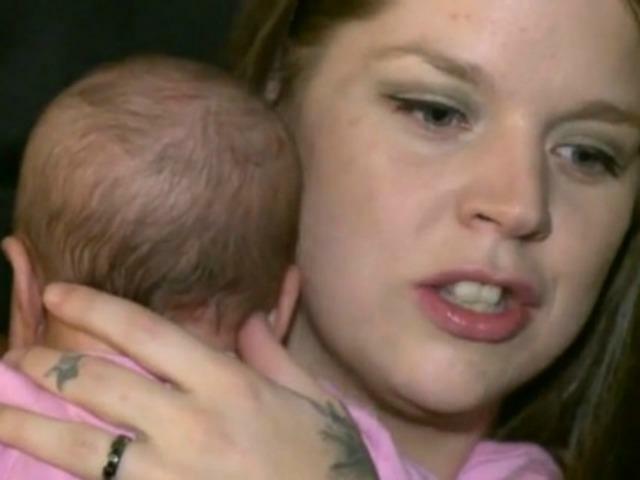 After Sanford gave birth at Cleveland’s Fairview Hospital on September 26, Nova was snatched away from her because the newborn’s first stool tested positive for a marijuana metabolite. Against the recommendation of county social workers (who are usually the villains in stories like this), Cuyahoga County Juvenile Court Magistrate Eleanore Hilow decided the drug test result by itself justified separating Nova from her parents. They were not reunited until last week, after a judge overruled Hilow. Sanford used cannabis tea to treat morning sickness and severe sciatic nerve pain while she was pregnant with Nova, as she had when she was pregnant with Nova’s brother, Logan, who is now almost 2. Her research convinced her marijuana was a safer choice than the painkillers she had been prescribed, and she may be right about that. The Food and Drug Administration puts opioids such as hydrocodone and oxycodone in Category C, meaning “animal reproduction studies have shown an adverse effect on the fetus and there are no adequate and well-controlled studies in humans,” although “potential benefits may warrant use of the drug in pregnant women despite potential risks.” The evidence concerning marijuana’s effects on fetuses is likewise mixed and incomplete.